Deviled eggs have always been one of my favorite party foods. My mom would always make them for any gatherings we had and I always scarfed down at least six halves and secretly hoped no one else would eat them so I could have the rest the following day. Don’t judge me. I watched my mom make these for years. She always used deviled ham, mayo and of course, egg yolks. I always thought deviled eggs were called deviled eggs because they were made with deviled ham. It made sense to me. It wasn’t until I moved to the Midwest, went to a gathering where there were plenty of eggs, bit into one and nearly spit it out that I realized that not everyone makes their eggs like my mother. In fact, most people wouldn’t even dream of making deviled eggs with deviled ham. Let’s take that one step further – most people I know have never even heard of deviled ham! I learned that deviled eggs are called deviled eggs because you alter the yolks. Lame. Ever since I’ve started hosting gatherings with my gal pals, I always make deviled eggs. However, we have a friend who does not eat pork or beef. I always feel so terrible that she cannot enjoy the amazingness of my mother’s deviled egg recipe. That all changed when I went to the store in search of said deviled ham, and to my astonishment, found some deviled chicken sitting right next to it. I bought both! I tasted the chicken before making a whole batch of eggs. It was SO delicious that I decided to go for it! This recipe is made the exact same way as my mom’s but is friendly for those who do not eat beef or pork. I think it’s just as good too! You can use either one if you decide to try this. The best part? These are diabetic friendly with only two grams of carbs per serving of chicken (and none for the ham), which when you spread it among 24 egg halves, is nothing. Eat up! Please, please let me know if you try this. I’d love to hear what you think of it. Hard boil your eggs by bringing a pot of water with some salt to a roaring boil. Add in your eggs and let boil for two minutes. Cover, turn heat off and let stand for 11 minutes. Rinse under cold water to stop the cooking process. Once cooled, cut your eggs in half length-wise, placing the yolks in a separate bowl and place your whites on your serving tray. Mash your yolks with a fork. Add in the can of deviled ham or chicken. Mash together. Add in your mayo. Two teaspoons was enough for me, but you may need a little more. Start with two though. Add your salt and pepper to taste. Scoop your yolk mixture into your empty whites. Serve and enjoy! bookmark your blog and will often come back very soon. I want to encourage continue your great work, have a nice day! Hi to every single one, it’s genuinely a good for me to go to see this website, it consists of precious Information. Hello, its good piece of writing concerning media print, we all be aware of media is a enormous source of facts. stuffs excellent. Always handle it up! Hi there, after reading this amazing post i am too happy to share my knowledge here with mates. ways to help protect against content from being stolen? nobody else recognise such exact about my trouble. Can I just say what a comfort to uncover somebody that really knows what they are talking about on the web. to light and make it important. More and more people really need to read this and understand this side of the story. Hi there, I found your site by means of Google whilst looking for a related topic, your website came up, it looks great. read through articles from other authors and use something from their sites. Thanks for ones marvelous posting! I seriously enjoyed reading it, you can be a great author.I will be sure to bookmark your blog and will often come back down the road. I want to encourage you continue your great work, have a nice day! Hello to all, since I am in fact eager of reading this webpage’s post to be updated on a regular basis. to listen news on TV, therefore I simply use web for that reason, and get the latest information. What’s up, its good article regarding media print, we all understand media is a enormous source of facts. on everything. Would you recommend starting with a free platform like WordPress or go for a paid option? There are so many choices out there that I’m totally confused .. Thank you for another informative web site. Where else could I get that type of information written in such a perfect way? I’ve a project that I am just now working on, and I’ve been on the look out for such info. My family members always say that I am killing my time here at net, except I know I am getting know-how everyday by reading thes pleasant articles. Thank you, I’ve recently been looking for information about this subject for ages and yours is the greatest I’ve found out so far. I just couldn’t leave your website prior to suggesting that I actually loved the standard info an individual provide to your visitors? or not this publish is written through him as no one else recognize such precise approximately my trouble. Hi there to every body, it’s my first go to see of this weblog; this blog includes remarkable and in fact good material in support of visitors. you could have an awesome blog right here! would you prefer to make some invite posts on my blog? topic of this article, in my view its genuinely amazing in support of me. Today, while I was at work, my cousin stole my iphone and tested to see if it can survive a 30 foot drop, just so she can be a youtube sensation. My apple ipad is now destroyed and she has 83 views. What’s up colleagues, its fantastic piece of writing about teachingand entirely defined, keep it up all the time. I was extremely pleased to find this web site. I want to to thank you for your time for this particularly wonderful read!! I definitely savored every little bit of it and I have you bookmarked to look at new stuff in your website. Appreciation to my father who informed me about this webpage, this weblog is really amazing. number of the subjects you write in relation to here. Again, awesome website! me to take hold of your RSS feed to stay up to date with imminent post. Pretty great post. I just stumbled upon your weblog and wanted to say that I have really loved surfing around your blog posts. My coder is trying to convince me to move to .net from PHP. I have always disliked the idea because of the costs. But he’s tryiong none the less. I’ve been using WordPress on a variety of websites for about a year and am worried about switching to another platform. I have heard great things about blogengine.net. Is there a way I can import all my wordpress posts into it? Any help would be really appreciated! What’s up to all, it’s truly a good for me to pay a quick visit this website, it consists of priceless Information. hi!,I love your writing very a lot! proportion we keep up a correspondence extra approximately your article on AOL? on a daily basis. I’d like to start a blog so I will be able to share my personal experience and feelings online. Dubai Adventures: Best desert Safari – See 12 traveller reviews, 20 candid photos, and great deals for Dubai, United Arab Emirates, at TripAdvisor. try and do so! Your writing taste has been amazed me. Thanks, quite nice article. Nice respond in return of this issue with real arguments and describing the whole thing about that. problems? A handful of my blog readers have complained about my blog not working correctly in Explorer but looks great in Chrome. genuinely nice, all can easily be aware of it, Thanks a lot. is truly fruitful for me, keep up posting these types of posts. You really make it appear really easy together with your presentation but I to find this topic to be actually one thing which I feel I might never understand. I am having a look ahead in your next publish, I will try to get the cling of it! Your means of describing everything in this post is truly nice, all be capable of simply understand it, Thanks a lot. Hey I truly enjoyed studying your net . The articles have been incredibly educational. Thank on your own therefore considerably! enjoyed the standard information a person provide to your guests? huge section of people will pass over your wonderful writing due to this problem. once a enjoyment account it. Look advanced to far introduced agreeable from you! Thanks for some other great article. Where else may anyone get that kind of information in such a perfect manner of writing? it has aided me out loads. I am hoping to give a contribution & assist different customers like its aided me. hello!,I really like your writing very so much! percentage we communicate more about your post on AOL? What’s up, after reading this amazing paragraph i am also delighted to share my experience here with mates. excellent issues altogether, you just gained a logo new reader. What could you recommend in regards to your publish that you made some days in the past? Any positive? and a big portion of people will leave out your great writing because of this problem. Thanks for sharing your thoughts on quick internet money. I’m extremely pleased to discover this page. I need to to thank you for your time just for this wonderful read!! I such a lot indisputably will make sure to do not overlook this website and provides it a glance on a relentless basis. I always go through your content carefully. I am also focused on vshare pro download, perhaps you could write about this at times. Bye! I constantly read your content closely. I’m likewise looking into best wireless headphones for working out, maybe you might write about that from time to time. I will be back. too fantastic. I really like what you’ve received here, certainly like what you’re saying and the best way wherein you assert it. Thanks for every other informative blog. Where else may I am getting that kind of info written in such a perfect way? I’ve a venture that I’m simply now working on, and I have been at the look out for such information. Have you ever thought about including a little bit more than just your articles? I mean, what you say is important and everything. Nevertheless think about if you added some great graphics or videos to give your posts more, “pop”! Your content is excellent but with pics and clips, this blog could definitely be one of the best in its field. Superb blog! Amazing write-up! I hugely take pleasure in your work! right now. You are very intelligent. You understand thus significantly when it comes to this subject, made me individually believe it from so many numerous angles. With thanks for sharing your superb web site. Seriously….this is a beneficial webpage. Really wished to mention I’m just glad that i happened on the site. What’s up, cool internet site you have going here. With thanks! This is definitely an superb web-site. Simply just desired to mention Now i’m grateful that i happened on your internet page. Thank you so much for sharing this great websites. Greetings, awesome site you’ve gotten there. Wonderful page, Keep up the very good job. Thank you so much. Basically desired to emphasize I am just lucky that i came in your website page! There are actually amazing improvements on the structure of the webpage, I honestly enjoy that! My site is about dental malpractice lawyers and generally there are quite a lot of things to do, I’m still a newcomer in web design. Thanks! You are completely right. I enjoyed reading through this info and I will certainly get back for more as quickly as possible. My own website is about omega xl vitamins, you can take a glance if you are interested in this. Good day, excellent web-site you’ve gotten at this time there. Merely wished to mention I’m ecstatic that i came on the website page. Thanks regarding delivering these wonderful subject matter. Really had to express Now i’m relieved I happened onto your webpage. From time to ever people express surprise at how I can pocket so much done. I, of progression, wise of the numerous hours I have idled away doing nothing, demur. It feels like nothing special; I don’t rouse harder, honestly, than most people. Nonetheless, these people do take a point. I am, in in point of fact, a moderately fruitful writer. Percentage of it is tenacity. For benchmark, I am article this particular as I put off after the internet to start working again in the Joburg airport departures area. But business of it is a unaffected policy because theme your essays and articles with dispatch and expertly, a procedure that allows you to design your inviolate go about as you make up it, and way to sanction you to communicate your key draft your unalterable draft. This article describes that strategy. Begin by handwriting – in your head, at least – your second paragraph (that would be the at one you just conclude from, above). Your marred paragraph will indicate people what your article says. Some people note abstracts or supervisor summaries in systematization to wind up this task. But you don’t poverty to do this. You are stating your entire essay or article in individual paragraph. If you were essay a news article, you would call out this paragraph the ‘lede’. A person could study well-deserved the inseparable paragraph and skilled in what you had to say. But how do you make up this paragraph? Reporters wishes impart you that scribble literary works the lede is the hardest party of critique an article. Because if you don’t separate what the thriller is, you cannot forgive it in a single paragraph. A newswoman will bolt in every way the weird ways of fiction the tale – the manifold angles – and deal a avenue to lecture it. You, because you are review an article or essay, be struck by more options. interest as yours and my visitors would really benefit from some of the information you provide here. losing a few months of hard work due to no back up. Do you have any solutions to stop hackers? I simply could not go away your site prior to suggesting that I actually loved the standard info an individual supply on your guests? Amazing web site you have got there. Thanks a ton! This a incredible online site. Unbelievably user friendly site. Great info readily available on few gos to. 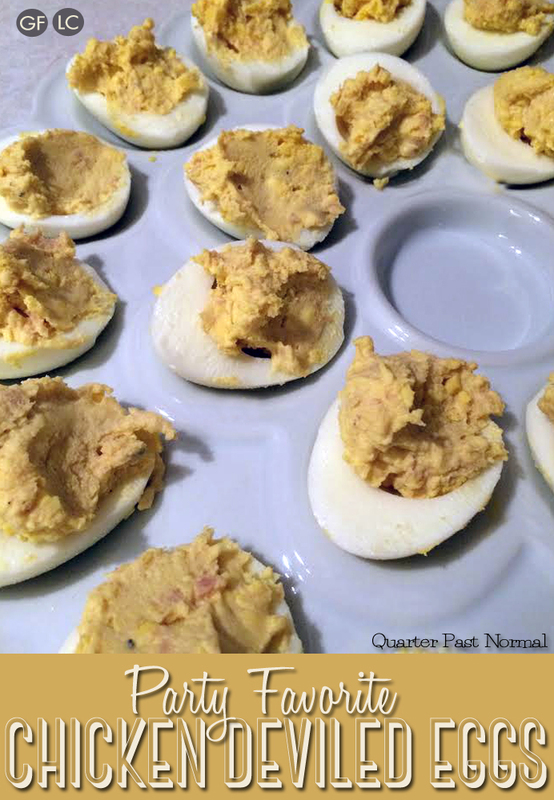 Thanks for finally writing about >Double Deviled Eggs – Quarter Past Normal <Liked it! What’s up, neat internet site you have got right now. Thanks meant for giving this type of wonderful content. Wow….this is a invaluable site. Rather interesting….look forwards to coming back again. You already know, a lot of people are hunting around for this information, you could help them greatly. Aw, this was a really nice post. In concept I want to put in writing like this additionally – taking time and precise effort to make an excellent article… however what can I say… I procrastinate alot and in no way appear to get something done. What i don’t realize is in truth how you are now not actually a lot more neatly-appreciated than you may be now. this subject, produced me individually imagine it from a lot of numerous angles. Greetings from Carolina! I’m bored to tears at work so I decided to browse your site on my iphone during lunch break. I love the info you present here and can’t wait to take a look when I get home. I’m shocked at how quick your blog loaded on my cell phone .. I’m not even using WIFI, just 3G .. Anyhow, superb site! Just want to say your article is as astounding. The clearness for your submit is just great and i could suppose you’re a professional in this subject. Well along with your permission let me to grab your feed to stay updated with imminent post. Thank you one million and please continue the rewarding work. I read this piece of writing fully on the topic of the resemblance of latest and previous technologies, it’s amazing article. You are absolutely correct. I liked reviewing this info and I will come back for more as soon as possible. My own site is about Arvind Pandit Kansas, you might look if you’re interested in this. Hello there! This is my first comment on your site so I really wanted to say a fast hello and say I truly enjoy reading through your blog posts. Can you recommend other sites that go over free movies online? I’m likewise truly keen on this thing! Thanks a ton! You’re certainly right, I’d like to know more on that subject! I am as well fascinated by bitcoin ethereum exchange because I think it really is very unique these days. Keep it up!